ORLANDO, FL – Jan. 23, 2012 – PBS LearningMedia announced today findings from a national survey of teachers grades pre-K-12 that sheds light on the rising role of technology in America’s classrooms, as well as barriers teachers face to accessing the “right” digital resources. Ninety-one percent of teachers surveyed reported having access to computers in their classrooms, but only one-in-five (22 percent) said they have the right level of technology. PBS released the survey results at the 2012 Florida Education Technology Conference (FETC), where educators from across the country have gathered to share best practices about the use of technology in the classroom. Nearly two-thirds (63 percent) of teachers cited budget as the biggest barrier to accessing tech in the classroom. In low-income communities, this is an even greater challenge as 70 percent of teachers reported it as the greatest obstacle. Teachers in affluent communities also have greater parental and school board support for tech in the classroom compared to those teaching in low-income communities. Thirty-eight percent vs. 14 percent cited high levels of parental support and 38 percent vs. 21 percent for school board support. While the vast majority of teachers have access to computers, less than two-thirds (59 percent) have access to an interactive whiteboard, a newer technology that can be used more broadly for classroom lessons. Teachers in affluent districts are also twice as likely to have access to tablets as teachers in middle and lower income districts. Still, teachers’ opinion about the ability of tech to enhance learning is universal; 93 percent believe that interactive whiteboards enrich classroom education and 81 percent feel the same way about tablets. This attitude towards technology transcends grade level, the income levels of the student population and the types of communities where they teach. According to the survey, tech resources used most often in the classroom include: websites (56 percent), online images (44 percent) and online games or activities (43 percent). Increasing student motivation (77 percent), reinforcing and expanding on content being taught (76 percent) and responding to a variety of learning styles (76 percent) are the top three reasons teachers use technology in the classroom. PBS, a leading provider of free teacher resources and digital content for use in the classroom, has regularly surveyed educators on their use of digital media and technology since 2002. PBS, together with WGBH and local member stations, recently launched PBS LearningMedia (www.pbslearningmedia.org/), which features a robust library with tens of thousands of digital assets, including lesson plans, background essays, and discussion questions for pre-K-12 educators that align with Common Core State Standards. This free media-on-demand service features content from NASA, National Archives and PBS programs such as NOVA, FRONTLINE, AMERICAN EXPERIENCE, and SID THE SCIENCE KID all in one place. Teachers using PBS LearningMedia can create custom class pages and lesson plans while implementing state standards correlations as well as accessing student management tools, analytics, online professional development, staff training, and a curriculum gap analyzer tool. The survey was conducted by VeraQuest Research and sampled 500 teachers within the United States between December 14 and December 20, 2011. Respondents for this survey were randomly selected from an online panel to be representative of teachers in the U.S. The estimated sampling error for the 500 respondents is +/- 4.4 percent at a 95 percent confidence level. These statements conform to the principles of disclosure of the National Council on Public Polls. 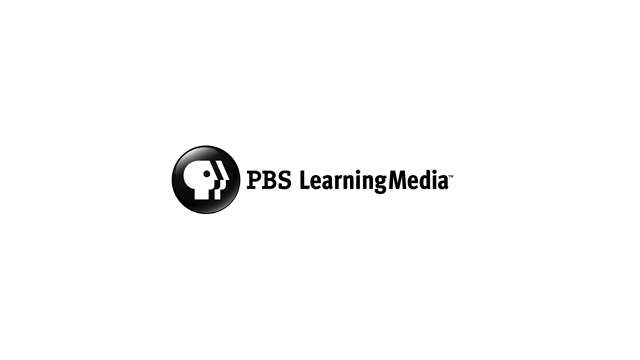 PBS LearningMedia is © 2011 PBS & WGBH Educational Foundation. All rights reserved. PBS, with its nearly 360 member stations, offers all Americans — from every walk of life — the opportunity to explore new ideas and new worlds through television and online content. Each month, PBS reaches 124 million people through television and 20 million people online, inviting them to experience the worlds of science, history, nature and public affairs; to hear diverse viewpoints; and to take front row seats to world-class drama and performances. PBS’ broad array of programs has been consistently honored by the industry’s most coveted award competitions. Teachers of children from pre-K through 12th grade turn to PBS for digital content and services that help bring classroom lessons to life. PBS’ premier children’s TV programming and its website, pbskids.org, are parents’ and teachers’ most trusted partners in inspiring and nurturing curiosity and love of learning in children. More information about PBS is available at pbs.org, one of the leading dot-org websites on the Internet, or by following PBS on Twitter, Facebook or through our apps for mobile devices. Specific program information and updates for press are available at pbs.org/pressroom or by following PBSPressroom on Twitter.